Catskiing…. have you heard of it? Well don’t feel to bad if you haven’t. Less than a decade ago I stumbled upon one of winter’s best kept secrets. Backcountry powder skiing /snowboarding at an operations run by mechanized vehicles taking you into your powder dreams. Have you ever dreamed of having the entire resort to ski by yourself and and a few friends? Well, it is exactly that with the added bonus of being led by a local expert, to take you to the best skiing in that moment.. safely. Powered by Piston Bully 300 or Bombardiers snow cats. Both provide heated cabs usually enough room for 12 skiers and all their gear. Capable of climbing steep terrain and dealing with building and safely transporting guests along the snow roads around the mountain. 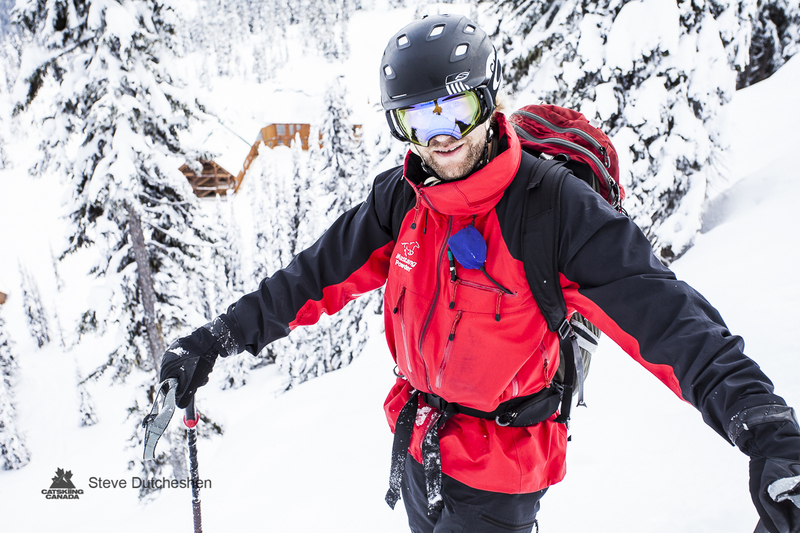 Today Catskiing has grown to over 20 operations in Canada mostly located in B.C.’s interior. Check out the Powder Highway Google Map for great information. What types of Catskiing is there? 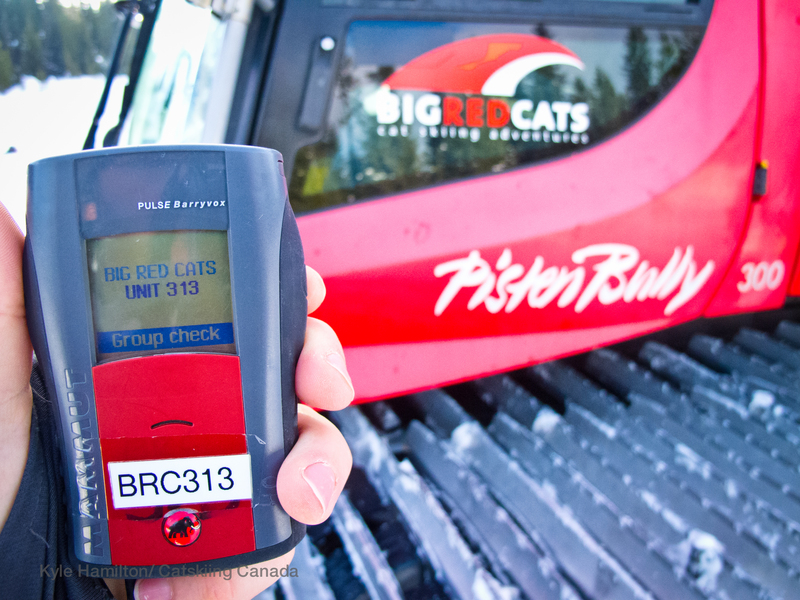 The Day Catskiing operations allow for skiers to come up one day at a time, typically they have a office in town or at a staging area and provide lunches for your day. In some cases they provide photography at an additional charge. 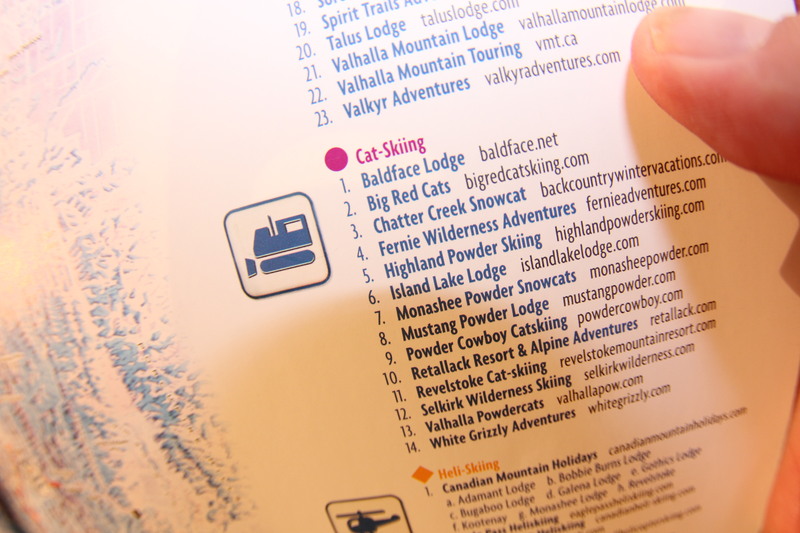 The multi-day Catskiing operations, typically have a backcountry lodge, its a bit more remote and offer 3-4 day tours. Its just Catskiing but with a Snowboard. What is a typical day of Catskiing look like? Well it’s fairly similar between Day Catskiing and Multi-day Catskiing in that you start off in the morning with a safety briefing and weather review with the guides in the lodge. They recommend outerwear based on the conditions, and talk about what to expect in the day. A transceiver practice session is next, and once the guides are confident in everyone’s ability in using them and search and rescue techniques, you suit up! Before you get into the Cat the driver reviews the safety in the Cat and the features such as how to play music/ set the heat and find your lunches. One on the slopes you tend to do a quick warm up run, the guides assess the skill and comfort level of the group and then start heading to new run. Rarely do you ski the same run and if you do, your skiing on fresh snow. Sometimes operations stop for lunch and sometimes they leave it to the guests to eat on the go at their leisure. More often then not, there is warm tea/coffee and sometimes soup. At the end of the day, in some cases you ski right to the lodge, otherwise you head back in the cat with a few road pops or just head into the lodge and grab a snack they have prepared for you. If your at a multi-day operation, you only do the morning transceiver practice once, and instead of just ending the day you continue on to enjoy the hottub and dinner and all the deluxe options provided by the operations. How many people go Catskiing? 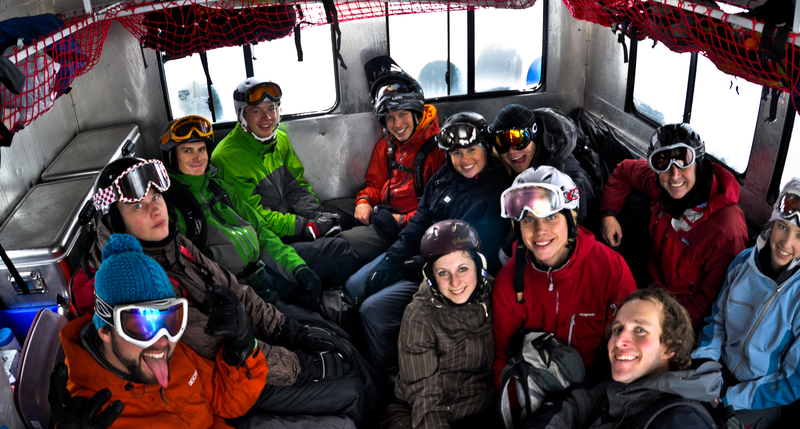 Its does vary, however it usually is 12 guests 2 guides (Lead guide and tailguide) plus the cat driver. 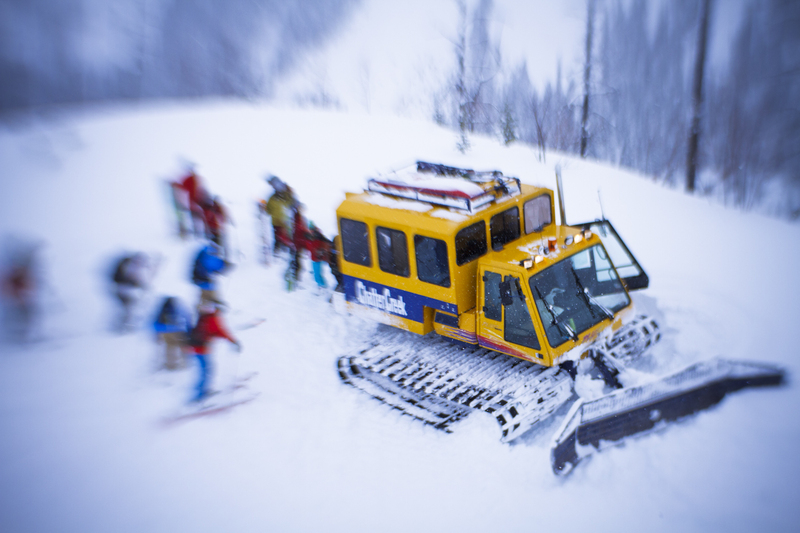 When an operation has more snowcats they can have 24-36 guests on the slopes. In most cases you never really see the other guests until your back at the lodge, the size of terrain at most operations is bigger than a ski hill so plenty of room and powder to share. What type of terrain do you Catski? 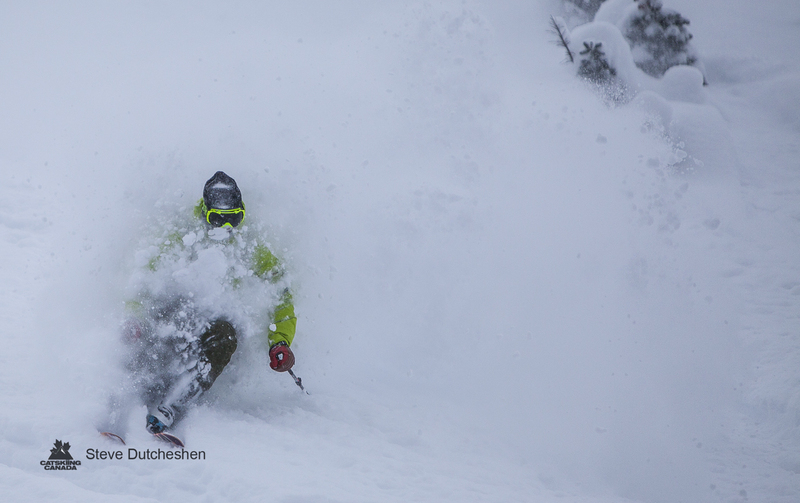 There are so many factors that determine where and what types of terrain you Catski. Each operation has a different set of elevations and runs prepared for access. It also depends on the skill level of the guests, the runs that have been skied recently or areas that are open for use. This is the focus of the guide and operation staff they toil over making sure guests get the safest and most ideal run every single day. Also there is more detailed research that is based on weather and its impact on the snow quality/safety and other factors. The guides in the morning have a meeting and determine what runs are the safest and best to have access to. The weather report combined with the historical information from the day before and the snow pack also impact the choices they make. All of them work closely with Avalanche.ca and other weather information/ forecasting tools to help them make informed decisions on the day. Generally speaking if the snow is stable on blue bird days you might be able to get up higher and into Alpine type terrain while on more “socked in” type days you might spend more time in the trees. This speaks to visibility as well, all factors in choices they make. The bottom line… They are going to take you to the safest most fun run you can at that moment. 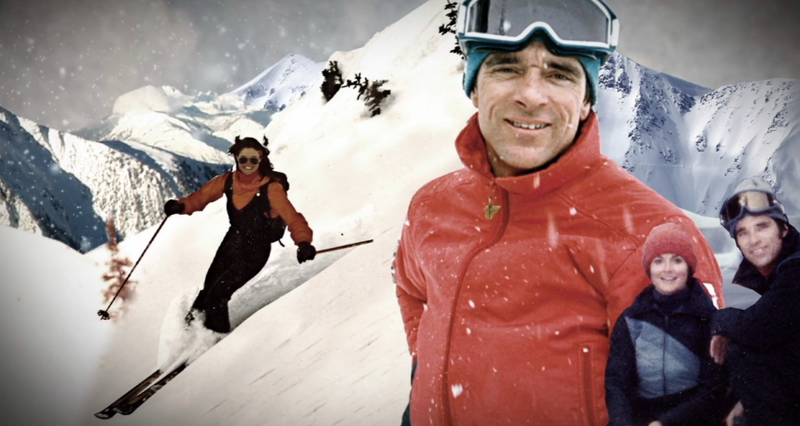 How long is a typical run Catskiing? Each run can be different of course but on average it can be from 1,200ft vertical to 2,200ft of vertical. In some cases they can be much longer as well. The runs are paced nicely since it can take some time (aprox 15-20min) for the cat to get down to meet you at the bottom, which tends to work, as you rarely wait very long for the cat. Previous Previous post: WINTER IS HERE!? Next Next post: Season Kicking off soon!